This batch of magic items was inspired by both my current D&D game and the Stormlight Archives series. Most of the items are interesting accessories that should fit a diverse range of classes. The only exception is the Totem of Focus, which is specific to Druids, but can be easily altered for any spell caster. 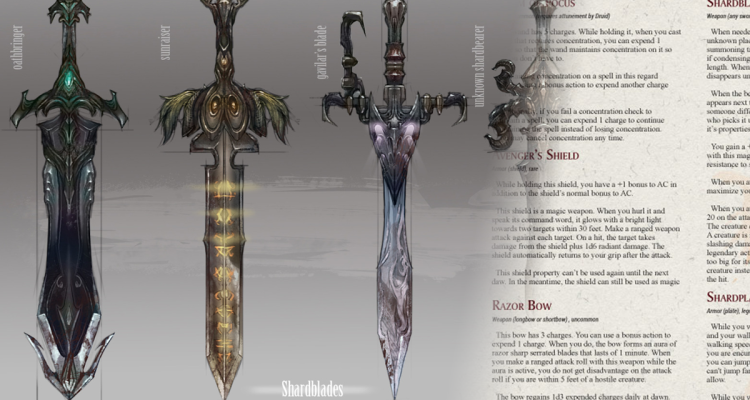 The second group of magic items are my attempt to convert the awesome weapons and armor of the Stormlight Archives book series into D&D, without making them too overpowered. You can find a PDF version of the items here. 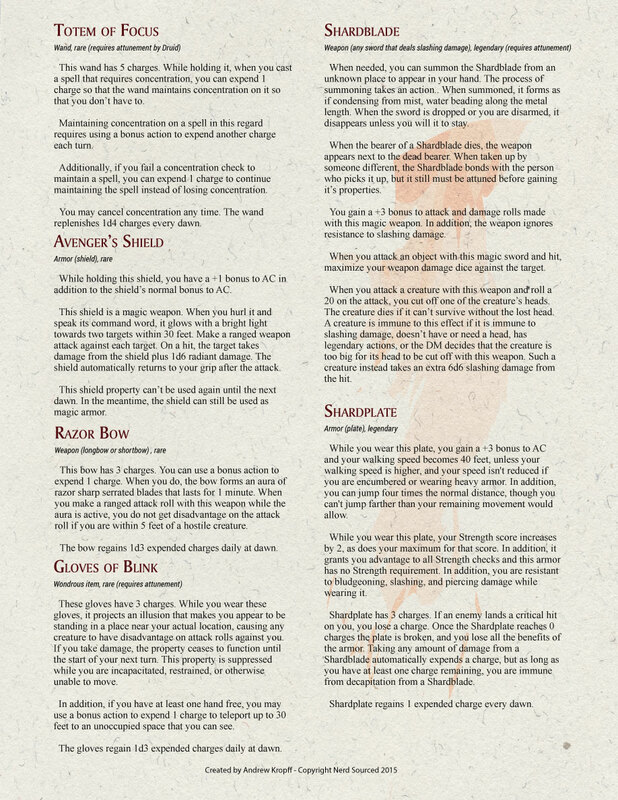 If you have any ideas for magic items that you’d like to share or have submitted to be made into a similarly styled PDF, let us know in the comments. 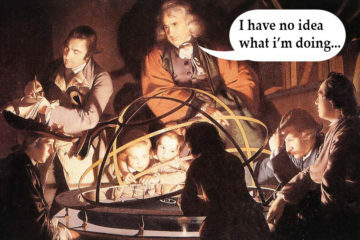 This is very clever stuff, and I like the PDF. 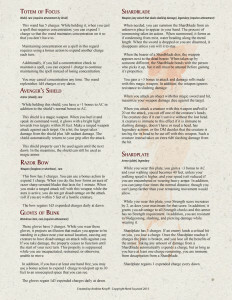 I have a ton of homebrew items over at manysideddice.wordpress.com (I think we’ve created about 100 now).